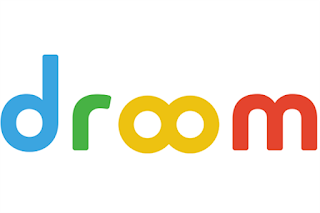 Droom – Get Car Perfume worth Rs 249 at Rs 11 Only. 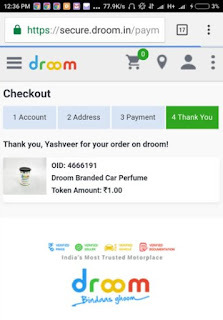 After Droom Helmet Offer Here is another great sale where you will get the Car Perfume worth Rs 249 at just Rs 11 Only. 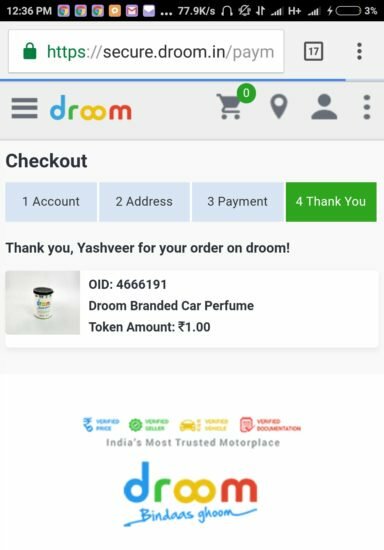 This Droom Car Perfume Sale is Live on 15th December at 11am Onwards. So Prepare Yourself for this Sale. 4) On 15th December 2017 at 11am Visit on Same Link.